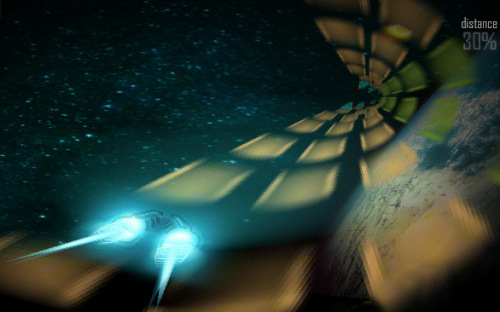 Description Race with a space ship through tunnels. Avoid all the obstacles and try to complete all the 25 levels. Buy upgrades for better handling and a better shield etc. A futuristic racing game, each level will become more difficult to complete. Controls Arrow keys to drive, see in game instructions. Basically this is a "Rocket", but with better graphics, interface and other stuff. So this should be considered as an almost new game.